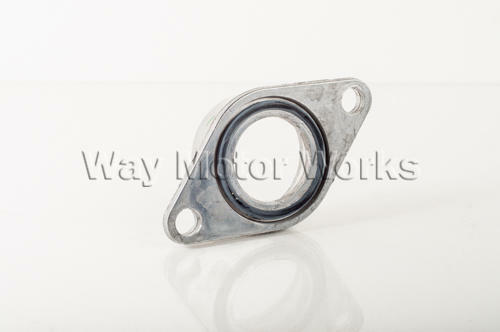 Water Pump Flange for 2002-2006 R53 MINI Cooper S and 2005-2008 R52 Cabrio S. Got a leak around the water pump on your 02-06 MINI Cooper S? This may be the cause. These are not the most common leak other than the thermostat. But if your removing the water pump for any reason you want to replace this water pump flange. This water pump flange mounts directly to the engine block, and the water pump slides into it and seals with the water pump oring. Sold as one individual water pump flange, with block to flange Oring included.